Biting into hot steamy Momos, with a lipsmacking, spicy chutney, in the lap of the majestic mountains are the stuffs dreams are made of. 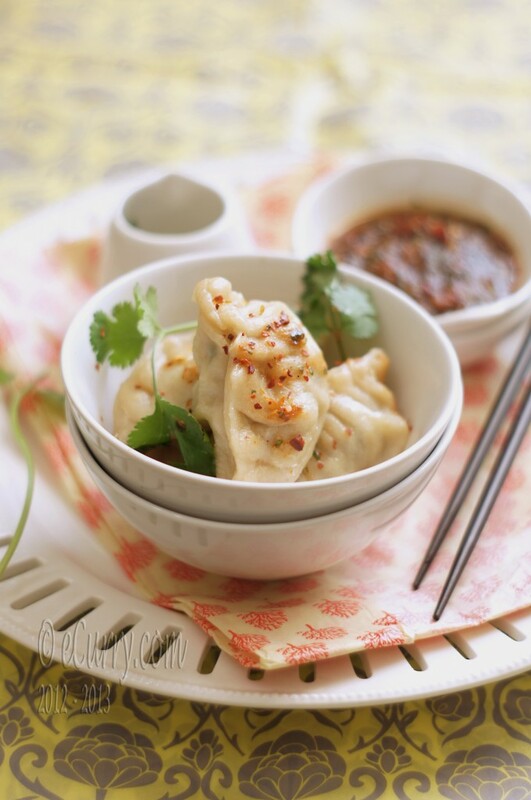 Momos are dumplings native to Tibet, Nepal, Bhutan, and the Himalayan states of India. My love affair with the Momos began when I was already having an affair with Darjeeling and the regal Himalayas. Today I have a long tale of an early romance and of unleashed memories. We eagerly waited, as we drove up the winding roads with frequent hair-pin bends surrounded by the calm and the strength of the Himalayas. If we looked on the side, the heart skipped a few beats to see beyond the roads. I did not dare to. But still there was peace. That is what the mountains do to me. They stand, they surround, they whisper the immense strength and the beauty of life. If we were lucky enough, we got a driver who would chatter and joke and keep our minds off the deep deep nothingness, on both sides of the roads. They were seasoned to this; they drove up and down every day. That we visited almost every year and knew the little towns along the way from the little foothill town of Siliguri to Darjeeling, which was way high up, where the clouds will kiss the pink cheeks of the cute little Nepali kids and the brushes arms with tall trees and rooftops, did not make us “seasoned”. Those few hours still made my stomach have a million butterflies – a little fear, a little excitement and then there were Momos. Momos for me are more than ” food”. They are “wrapped” with love, romance, and memories that are sealed in that little packet; calling; of the mountains, divine beauty, innocent good times, roses and horses, my parents, and our summer retreats, times that have slipped away beyond my reach, but I have been able to gather all of it and given words to some. With every bite I smell the Himalayas, I remind myself of the unparalleled beauty that the little town had to offer us, days and days of happiness that keeps me going even now. Pleating dumplings need a LOT of practice and patience. I have done a very sloppy job this time and kept switching from one shape to another. To get them perfect is on my to do list now. One could call Momos the unofficial national dish of Tibet. 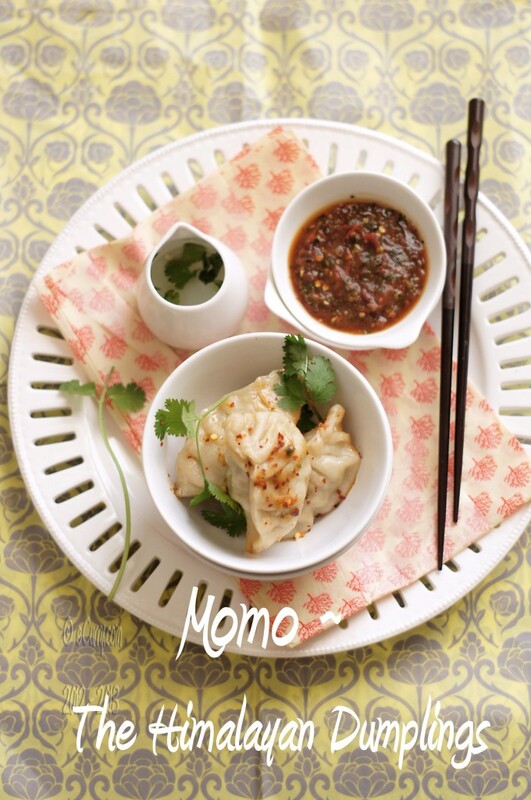 As found in the Wiki – “Momos were introduced from Han China, as Momo is a loanword from the Chinese mómo, a type of steamed bun. Momos have become a traditional delicacy in Tibet, Nepal, Bhutan, Sikkim, Darjeeling district and Ladakh. They are one of the most popular fast food in Nepal and many other South Asian region populated with people of Nepali origin and people of hilly origin. They are also common in places with noticeable Nepalese and Tibetan diaspora, sauch as Assam, Delhi, Mizoram, Manipur, Nagaland, Meghalaya, Himachal Pradesh, Shillong, Uttarakhand and West Bengal”. Half way through, the driver would ask us if we were ready for a break. We all knew what that meant. We were going to stop and walk into one of those little, quaint houses by the road side; immaculately clean and beautifully decorated with pretty laces, few but beautiful tea cups, fresh flowers, and more. What brought life to these homes were friendly ladies and children with the most beautiful black hair, twinkling eyes and colorful hats, scarves and sweaters they wore. I adored them. They came out as soon as we knocked as if they were waiting. The little girls had the shy smiles, the younger kids hid behind their mom. It would be different home every single time, for each driver usually has set up this tiny “business” with the people they knew.They were all the perfect hosts. But to tell the truth, the entire time span was as if it just got alive from a novel I was just reading. We would go in and wait for a few minutes. One of the family members brought in water or tea in a tray. But I would be waiting for the Momos. I had been waiting for this first taste of the trip ever since the visit was planned; in every single visit – almost every summer. The crisp fresh mountain air does things with your appetite, and the steaming, freshly made Momos, with that spicy chutney on the side makes you lose control. Then there were the early mornings in Darjeeling. We woke up and saw the dawn breaking out of the clear glass windows, with the entire range of mountains up in the sky. Sleepy eyed, we got out of the bed and lined up in chairs in the glass covered verandah; my parents with tea cups and I would have the shawl wrapped around me. We waited to the see the majestic peak of Kanchenjunga and the light of the nascent day break and play the most spectacular drama over it, painting the peaks and teasing them with pink, yellow, orange and blue hues, changing every few minutes as the sun moves up, dispelling the clouds, the fog and illusions – full of promises. (if you have never heard of this, go over the Google images. Then let me know if you are not floored by its pristine beauty). This has to be the place where God resides. Far away the bells of the Buddhist monastery rang, soothing and welcoming the day. Soon the monks would walk down the road, and I would run down the stairs through a path where pink and white wild roses grew, to watch them, with folded hands as they blessed everyone on the way. There could be no better way to begin the day. But the day had just begun. We would then go out for our walk, uphill. On the way back we had breakfast with Momos. This was our daily routine. The restaurant was tiny, an extension of a home built on what almost felt like the edge of the mountain. The tables were laid out by the windows, so we could sit and look outside and dream. I don’t remember us talking too much. The silence of the early morning is like a prayer, to be revered. The plates of steaming Momos broke the silence and the trance. We got busy. Darjeeling was our summer retreat. I even remember a day when for some reason we did not go for a walk and hence skipped the breakfast. I cried and even threw a trantrum. Then my grandma (she had come with us that year) walked me up to the restaurant. The people in the restaurant had come to know us. When we visited Darjeeling, we barely ran around seeing places. It would be time to spent with the place itself, walking the mountain roads, just because we loved it. The cutest kids waved, the prettiest moms walked up and down with the babies tied in a sack on their back, while they sucked on the yak milk solids. We visited the monasteries. The best smelling yellow roses climbed and creeped on the rocky walls along the roads, and so did the green ferns. The open “mall” and the market, smelled of horses. Sitting on the benches and watching people and sunset was fun. I longed to go to school in Darjeeling as I saw the kids piling out of the convent school in blazers and coats. The shop called Glenary’s was our stop as we walked back home in the evening; a must visit place for Darjeeling Tea, pastries and snacks. I will never forget Darjeeling. We walked back home, when the mountains became dark shadows, solid and sleepy. The night was silvery dark with the stars looking like crashed ice. Here you know that silence has a voice. There is nothing there that I do not love. Darjeeling, for me triggers more emotions than my words could articulate — just like a passionate love affair, which remains the strongest in the heart. I have spent some best days of my life there. Even after this long post, most of my feelings have been left unspoken and it always will be that way. I hold it precious. And as I write this, I sigh as if I am unable to do something and I do not know what. I miss those days. I know I can never bring them back again. Too many things have changed since then. But hey we have the Momos today!! A part of Darjeeling that will be always etched in my heart as well as brought to life every time I bite into them. Maa would make it at home, and it was almost a family affair rolling and packing the Momos.”Tibetan Delight” is what delighted us with in Kolkata when we were not eating Momos in Darjeeling. That restaurant I heard, still stands there. Now to the details of the recipe. I got in touch with my old college friend, thanks to all the social/networking platforms. I communicate more with his wife now. They are in Nepal! Who else would be a better person to ask for the authentic recipe for Momo. I drooled and I craved as I went over her photographs of a table full of lined up momos that she makes. Finally I requested her to send me the recipe and she did, right away. Below is the excerpt of her email and thank you Biva! When you knead the dough knead until the dough is flexible. Cover it and keep it aside. And for the filling mix everything together with your hand putting little water form time to time but not a lot to make it sloppy. 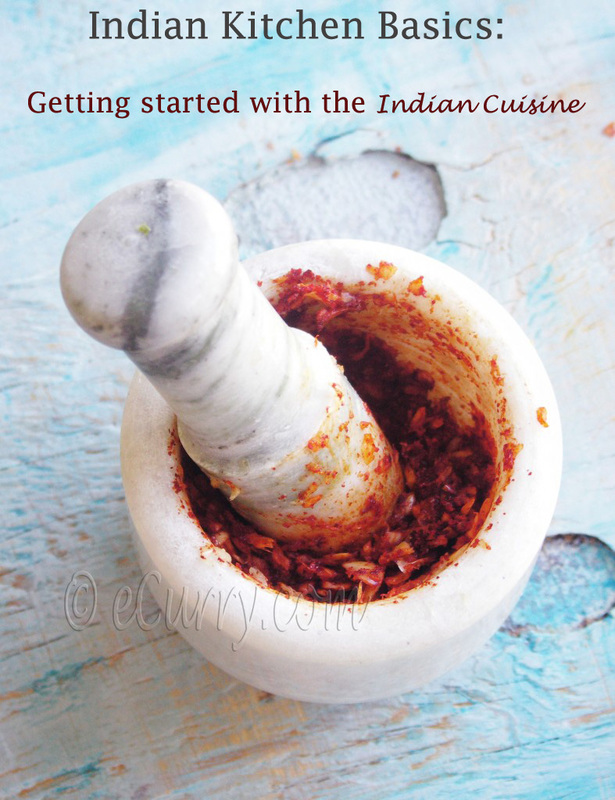 This will make your momos juicy when cooked. Some put oil to make them juicy but for me water will do 🙂 and rest you know what to do. Momos are made vegetarian as well as non-vegetarian. I have the recipe for the one that is done with minced meat today. 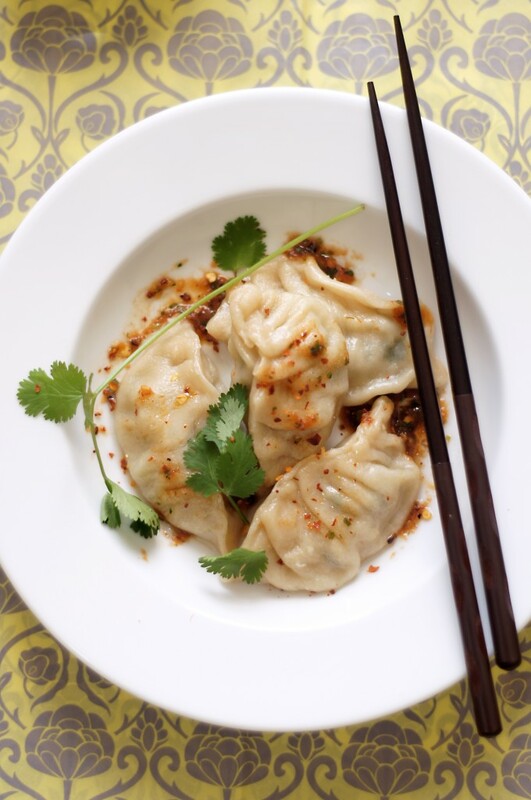 The vegetarian momos usually have cabbage, onions, or whatever you want to fill it with. 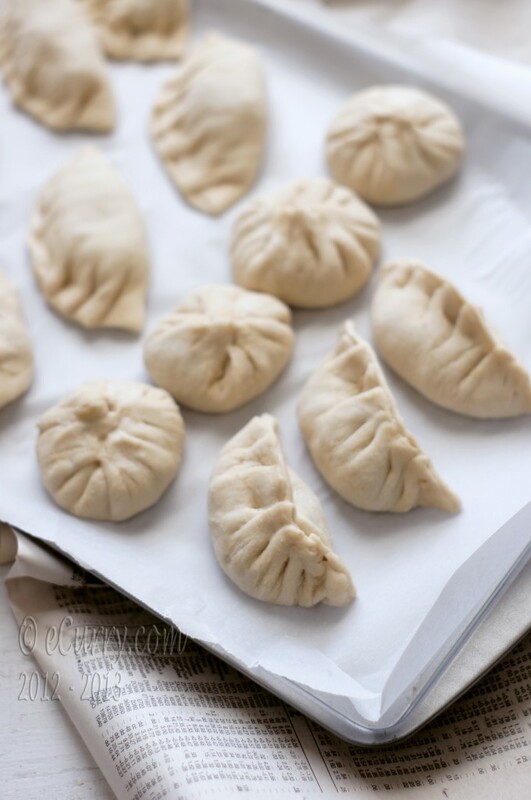 Bhutanes momos (I have never tasted them) are even filled with Churpi (Bhutanese cheese). Note: Spring onions may be used in the filling too. Note: Store bought Dumpling Wrappers (NOT Wonton Wrapeprs) may be used as the wrappers. In a large bowl add the flour and add water a little at a time. Mix well and knead until the dough is soft (not so sticky) but flexible., about 10 – 12 min. Cover and let stand for at least 30 minutes. 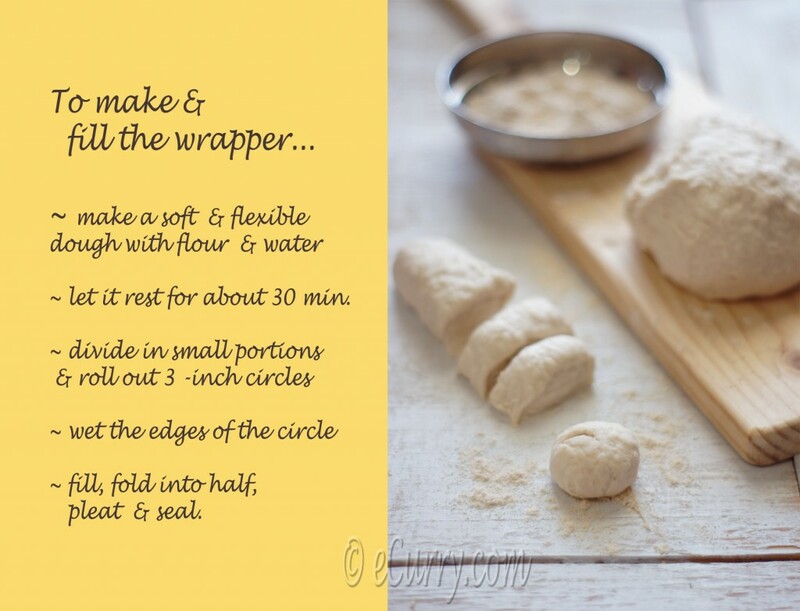 Before you start making the wrappers, knead well again. least an hour to allow all ingredients to impart their their own flavors. The consistency of the filling should be moist. Divide the dough into portions after the final knead. Each ball would be about 3/4 inch to 1 inch. Roll each ball between your palms to spherical shape. If the dough seems sticky, dust the work surface with flour. Flatten each ball between you palms. With a rolling pin, roll out each flattened circle (roll from center to the outward direction) to 3 – 3.5 inch circle wrappers. It is better if you can make the middle portion of the wrapper slightly thicker than the edges. This helps to hold the filling, and also helps to pleat the Momos better. The wrappers should be rolled out pretty thin, but not thin enough that they will tear or you can see through it. Cover the rolled out wrappers with a light cloth/towel to prevent them from drying out. It is better you make them in batches to prevent drying out. Note: if you do not want to roll out the wrappers one at a time, you can roll out a portion of the dough in a large circle and then use a metal glass/bowl with a reasonable sharp edge and stamp out circles with it. Wet the edge of the wrapper with water. Hold wrapper on one palm, and put a heapful tablespoon of filling in the center of the wrapper. Gently and loosely fold it in a semi circle, like a taco. Make the pleats. You may do whatever shape you want – a purse, half moons or crescent. It will take patience and time if you are not used to doing it, but it does get better after you do a few and get the hang of it. Whatever shape you do, make sure you seal them really well. The meat needs to get cooked as it steams. Prepare your steamer. You may add some onions, ginger and fresh coriander to the steaming liquid/water. This usually becomes a clear soup on the side when the momos are served. Oil the steamer rack really well. The oil will prevent the Momos from sticking and tearing out when you want to take them out. Arrange the stuffed Momos in the steamer. Close the lid, and steam until they are cooked through, about 20 minutes (or as long as it takes in your steamer). 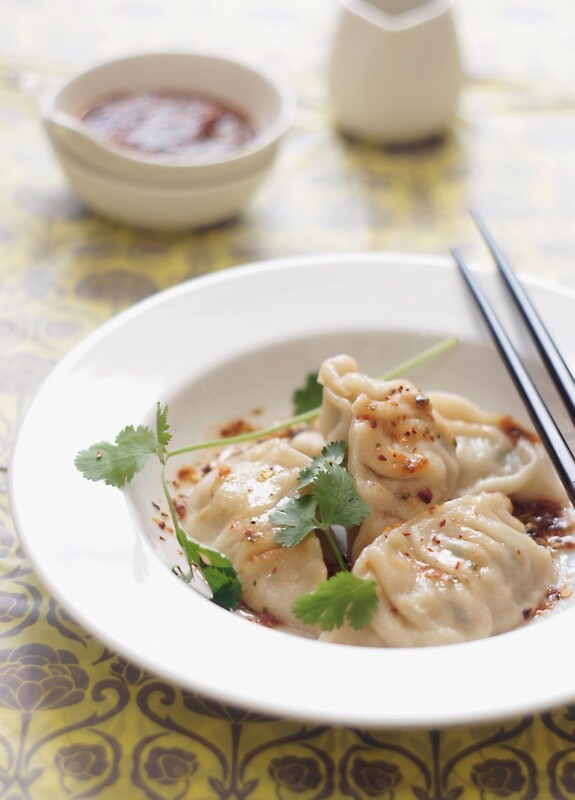 Take the Momos off the steamer, and serve immediately with the soup (if you wish) and the chutney (recipe below). Make a cross at the bottom of each tomato. Boil water, drop the tomatoes and 4 chili pepper (or half the amount of chili pepper of however many you are using), switch off heat and cover for 3 minutes. (Heat water in the microwave fort 2 minutes with the tomatoes and pepper in the water). Uncover, remove tomatoes and peel them. Toast 4 red dry chili peppers (or the rest of the peppers) in a dry skillet until they are dark brown. Combine peeled tomates, soaked and toasted peppers and fresh cilantro/coriander in a food processor or blend and puree it. Adjust salt. 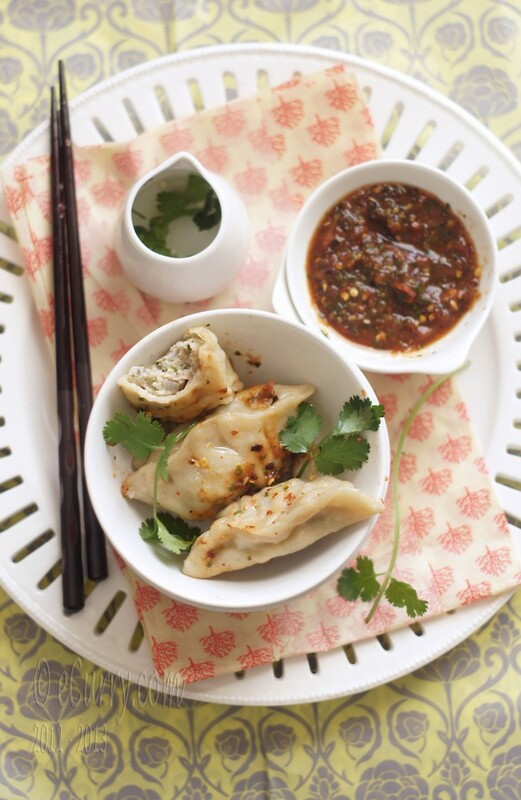 Serve momos hot off the steamer with Chutney and a clear soup (if you want). 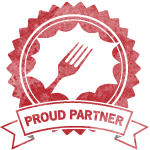 (If you have left overs, my friend suggested that they taste better pan fried or pan seared the next day). Lovely post Soma…evoked so many memories from my childhood too :). Darjeeling has always been the ”Bangali’r Switzerland” isn’t it? So very colonial, charming, posh yet romantic. Planning to do a trip when I’m in India next but also scared of being disappointed as people keep on saying how commercial and dirt it has become. What a beautiful read Soma! Onek din pore kichu bhalo porlam. And the snaps are to die for … breathtaking. Nice post. I have never been to the North East. And I am told it is absolutely breathtaking – just as you have described it. And I love Momos. Beautifula nad so mouthwatering! 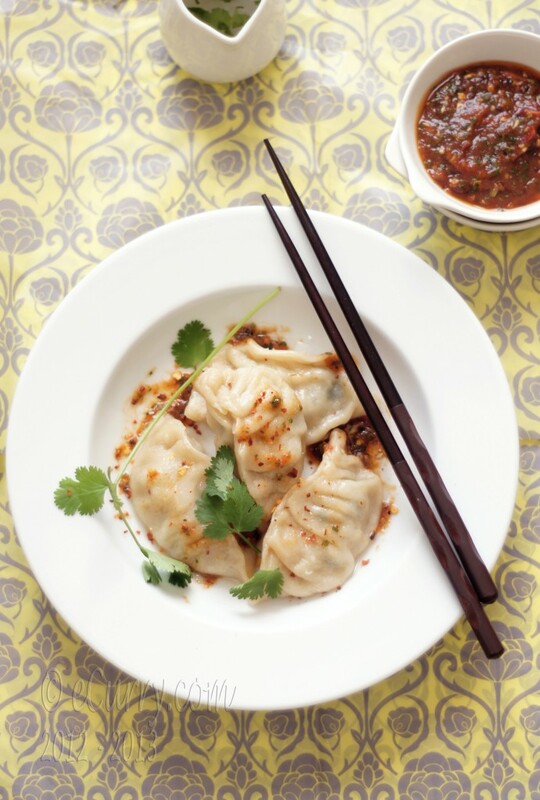 Your dumplings must taste so good. Great photos of my favorite food! More on momos are covered here http://desigrub.com/tag/momo/ Hope you enjoy some of the post tagged under there. 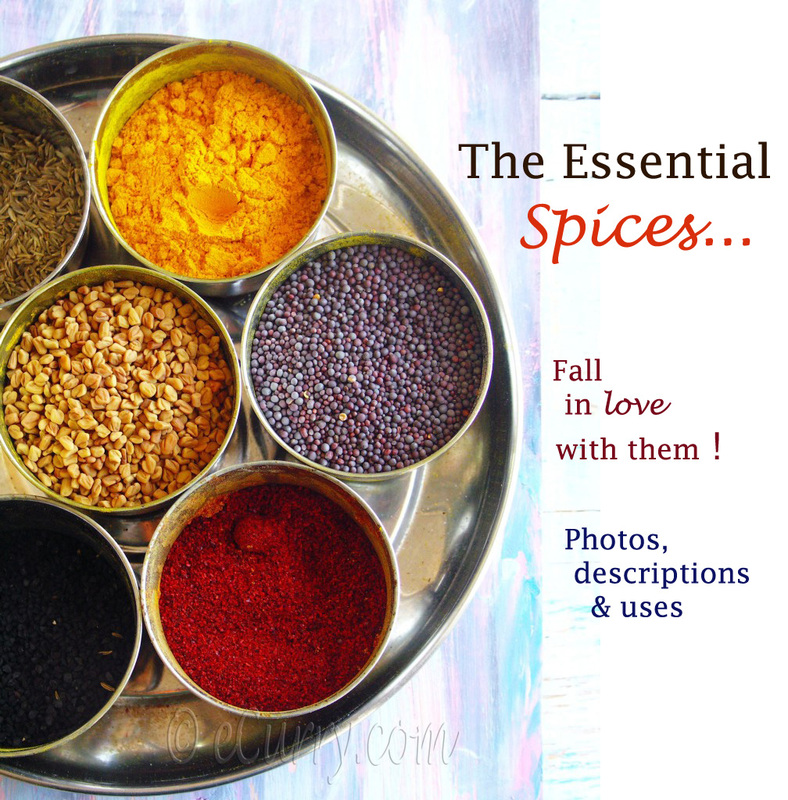 What a beautiful post – really transported me to Darjeeling ! I have been there when I was really little, but I remember the monasteries so clearly. 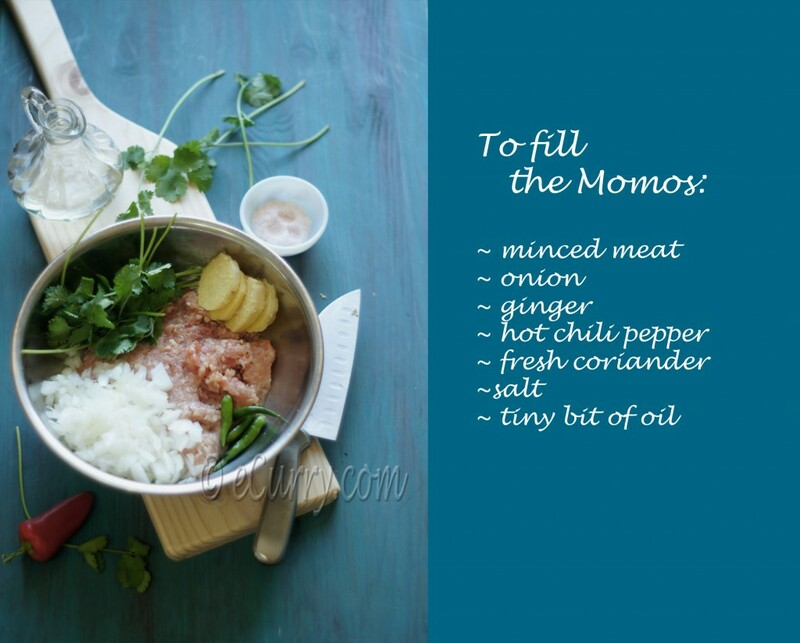 I’ve been looking for a momo recipe for so long. Thanks so much for this lovely read and a great recipe, will be making them soon. Simply beautiful post soma with every minute detail. How I wish I was your neighbour to get a taste of this lovely momo. I love momos! Haven’t made them in the longest time ever. Should make them soon! These look great! thanks you for such a lovely post! Can’t wait to make momos and so wish I had a trip planned to the Himalayas, you make it sound so magical! Such a beautiful post. I was almost there, in the quaint little house and I could picture the kids in their colourful sweaters and scarves. Absolutely loved it. I am definitely trying out these momos, and I will be keeping your wonderful Darjeeling experience in mind as I eat them. What a beautiful post and ofcourse the lovely pictures! I was transported to the Himalayas with you!have always wanted to visit, but it never happened, although I have enjoyed momos in Delhi and even Chennai brought all the way over by Tibetians and Nepalis.I don’t know how authentic but I remember soy sauce and a chilli vinegar sauce also being kept for dipping. Wow! An amazing post on my favourite food – Momos and into one of the most nostalgic places – Darjeeling. It was so wonderful reading the post. I have never got the perfect recipe for the dip… fantastic. Have to try for sure – the last time I had made Momos at home they had become very very soggy… let’s see. 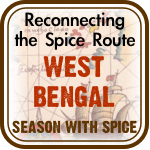 Sharing… for the Darjeeling nostalgia if not for Momos! Got yo momo RIGHT HERE! Simple, yet elegant, but the name is the best part. Momo. So cute! I always love reading about your childhood memories Soma. You almost make them come alive before my eyes. The Himalayas and Nepal are on our list if things we would love to see but or now your momos are the next best thing. Beautiful ! Soma, this post is splendid! Vivid memories put together beautifully! And those momos have been so well shot that I can’t help but salivate !!! We visited Kalimpong this summer…and the MOMOS were to die for…. :):). They are my son’s favorite…:). Thank you for the lovely piece….some memories and lotsa yummy snaps. Read this post first and then saw the link on Kitchn this morning! ah mazing clicks Soma. and congratulations on the feature! thank u so much. this is my one of the favorite dish. i will try and keep posting. An interesting story. The momos look fantastic. Throughout this year I’ve had craving for dumplings. I will try the vegetarian ones. Cabbage is not my favourite ingredient, but it would probably do if well spiced. Cheese sounds more tempting, though. Churpi seems to be Yak milk cheese made like paneer but dried afterwards. If you made a vegetarian version, what would you recommend as a filling? Hy! First congratulations for your blog! It’s so smart, clear and evocative. I made this weekend your momos…wonderful!!!! I attach my post, if you wanna see them. 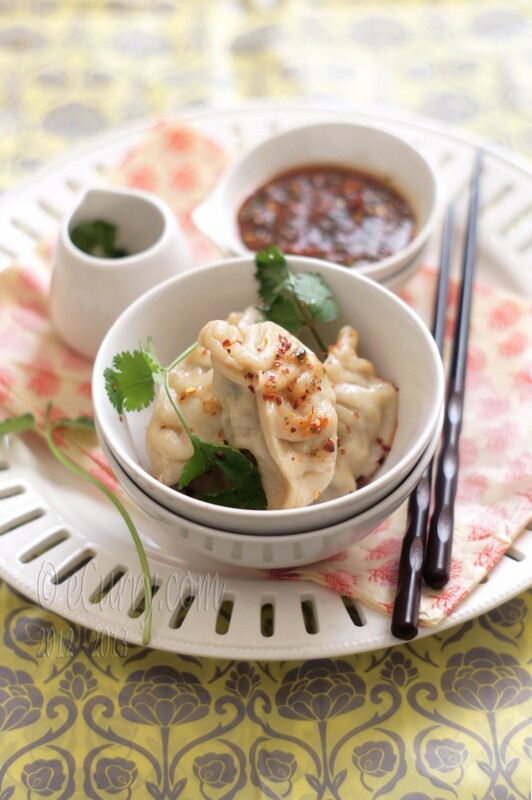 Absolutely in love with these dumplings of heaven! Hi Soma, I loved this piece on momos and the Himalayas. I am from Kolkata and share the same love for Darjeeling as you. Reading this post was a walk down the memory lane. Thank you & all the best! 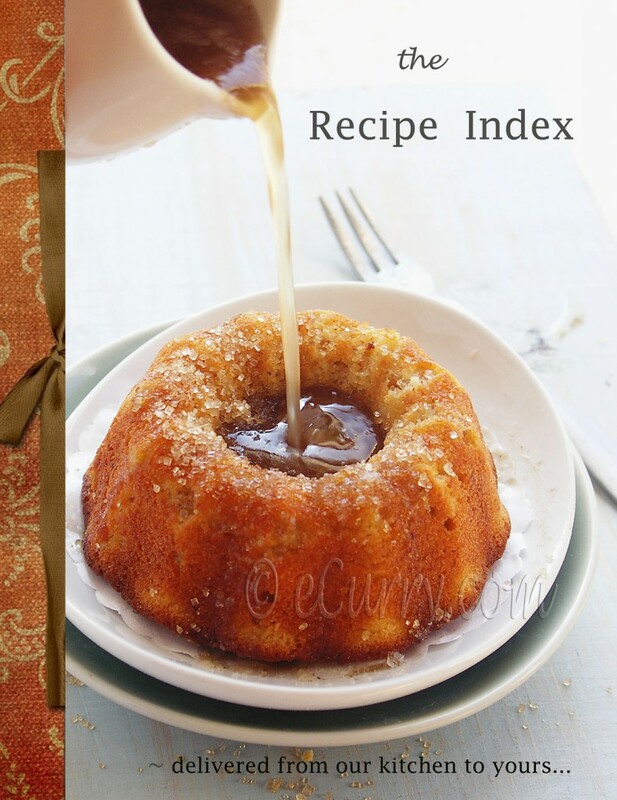 Hi, I tried this recipe today and it came out very well.Thank you for sharing this recipe. 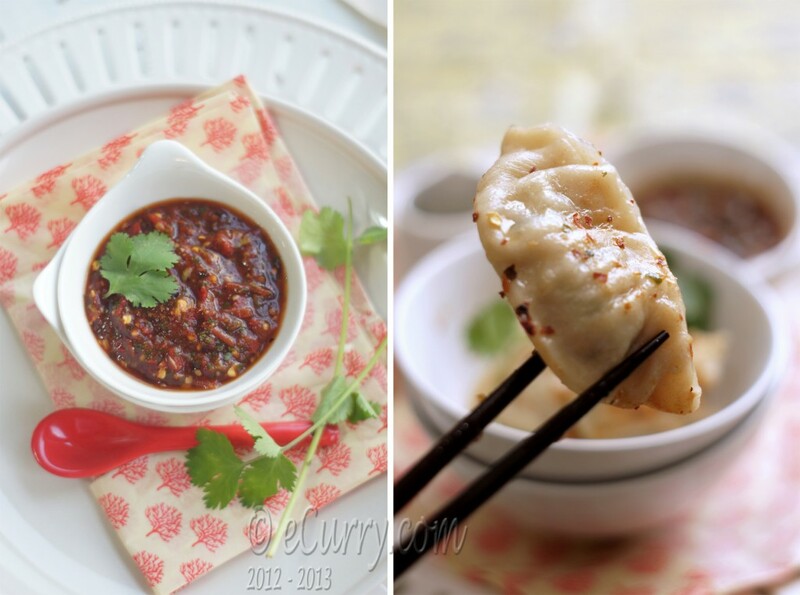 20 Drool-worthy dumpling recipes to ring in Chinese New Year - How to do everything! 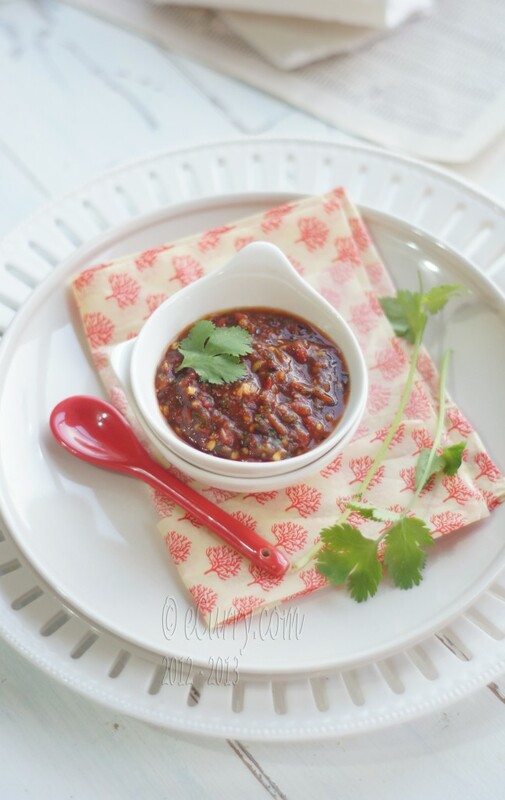 I was looking up recipes for Momo and Momo sauce and came across your blog. I went to boarding school at St. Paul’s in Darjeeling and as I was reading your blog I felt a wave of nostalgia and hosts of great memories. Thanks for taking me back to those magical days!! I’ve been living in US for over 20 years and after reading this blog, I want to make a trip back to Darjeeling and taste the momos at my favorite momo restaurant in Darjeeling and relive all the great memories! Thanks much for leaving a comment. As I understand, only those who have spent time in Darjeeling will feel what I have written about. If given another chance I would go back to those times without hesitance. I have heard Darjeeling has changed a lot. We stayed in the house of Jagadish Chandra Bose as my dad worked for Bose Institute. We never stayed in a hotel. It was way up in Jolapahar. From there we would walk down to the mall almost everyday in late afternoon and walked back up when night fell… I want to go back. I know things will be different. But the himalayas will never change. Just to find a corner to look beyond and think will not be difficult I think. We never did much there. No rushed travels… just enjoyed being there. And yes I did envy all the students !! I wished I could go to school Darjeeling. You were very fortunate. nice post ! the bengali’s love for darjeeling and the people there. Loved they you crafted your experience and imagination into words. I belong to hills and writeups such as your take me to the glory of the himalays. I lived on momos during my studies at doon and experienced momos with the immigrants of Tibeat. Momos with clear soup, thupka, chowchow are still all time favourite but now in Delhi NCR it’s hard to find them authentic. Lately it was Sikkim house in chanakya Puri which servered good momos with soup but its closed for general visitors, if any one know of a authentic and traditional restaurant then kindly post. Soma, keep writing you have something very special which catches attention to read.